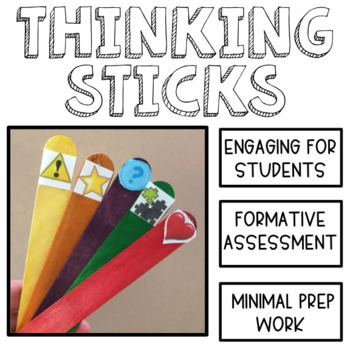 The idea for “Thinking Sticks” was birthed after attending a PD about annotating text/close reading. My students work in novels, so directly annotating text is not an option for them. 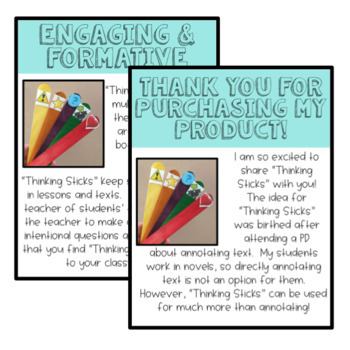 However, “Thinking Sticks” can be used for much more than annotating! 1. An alternative to “annotating text”. 2. 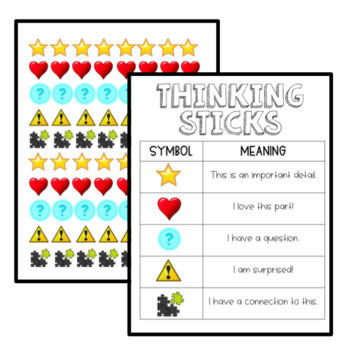 A non-verbal strategy for students to communicate with the teacher. 3. A non-verbal strategy for students to communicate with other students.